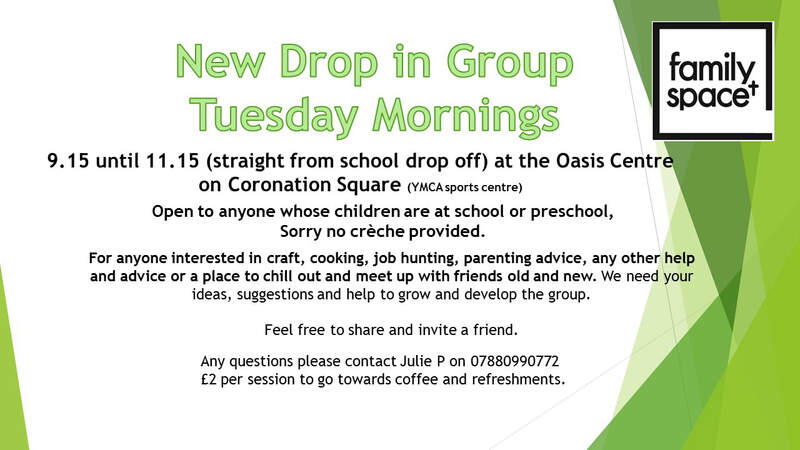 Tuesday 9.15-11.15: Drop in at Oasis. Anyone welcome. Time out for mums is a small group of parents who spend a time each week trying new skills and engaging in recreational and craft activities that benefit themselves and their children. For 2 hours a week Mums can enjoy a session spending time for themselves. This helps with making new friends, learning new skills and gaining confidence as well as having 2 hours a week 'Time Out'. Staff are at hand to offer parenting advice and lend a listening ear. On a Monday the children are cared for in a crèche within the centre run by trained Family Space staff and volunteers. Monday group is by invitation only but anyone can come on a Tuesday. ​"Time Out is very important to me, at Time Out I'm offered support and advice when I need it which has been a lot these past couple of years and not just by the people who work there, the other mums also support and offer advice to each other too. I'm a single mum with no family in Cheltenham. Time Out and the people at family space have become my surrogate family in Cheltenham. At Time Out I've found support, advice, opportunity, education and friendship. They make a defence to my life, I don’t feel like I'm on my own and I don’t think my life and that of my son would be the same without them." Mum who attends Time Out.